Sasquatch 2011: Sharon Jones And The Dap-Kings, Live In Concert It's almost unfair to put Jones on a bill with a bunch of mopey young indie-rock whippersnappers: The savvy soul veteran's energy, power, control and almost supernatural on-stage confidence are liable to blow away anyone who surrounds her. Sharon Jones performs at the 2011 Sasquatch Music Festival. 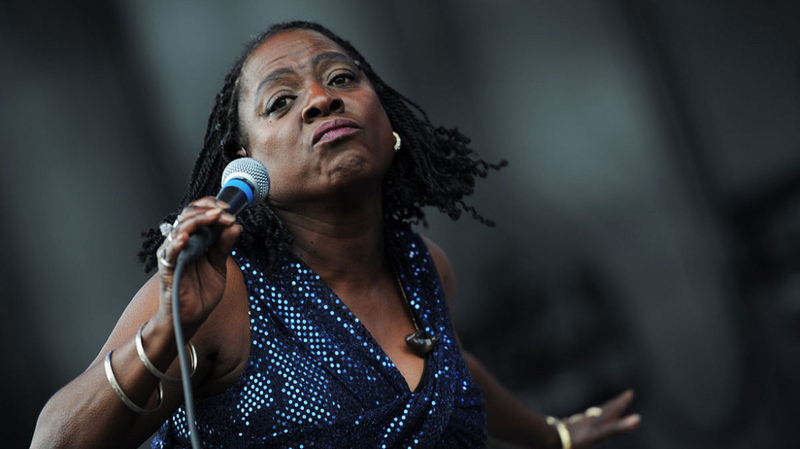 It's almost unfair to put Sharon Jones on a bill with a bunch of mopey young indie-rock whippersnappers: The savvy soul veteran's energy, power, control and almost supernatural on-stage confidence are liable to blow away anyone who surrounds her. On albums like last year's crisply cool I Learned the Hard Way, studio polish has a way of muting the singer's force-of-nature fury. But put Jones in a festival setting with the Dap-Kings horn section, and look out. Recorded live at The Gorge on Monday, May 30, Jones and her band perform as part of the 2011 Sasquatch Music Festival outside Seattle, Wash.